This is just my collection of winter gloves. I wish I felt this way about saddle pads. From left to right: SSG Winter Rancher, SSG 10 Below, Mountain Horse Avioraz, Carhartt Winter Chore Glove, TuffRider touchscreen winter riding glove, SSG fleece lined something or other, Back on Track ceramic glove liners, SSG silk glove liners. Would you believe at one point I actually hated riding in gloves? Ha! Fit: They come in half sizes, and a 6.5 is perfect for my small hands/long skinny fingers - even my really long pinky, which I've learned SSG just does not accommodate, even if I go up a size. Lambskin palm/crochet back Tailored Sportsmans I got for $5 from Dover. They're amazing feel-wise, but they just do not last. Seams: The gloves these replaced (below) had a seam in such a bad spot, my left ring finger went partially numb for a week after a lesson a few weeks ago! The seams of the Roeckl Chesters aren't at all noticeable. These are a serious do-not-buy. I bought them because they were cheap and Nick was unemployed and I had ripped out of my summer gloves. I thought they'd break in, but instead, they just made my finger go numb, slipped all over the place, and were bulky in my hands. Touchscreen compatible...sort of: Saying "press harder!" to make your glove touchscreen compatible is cheating a little bit, but oh well. It does work. Breathability: It's been super hot and humid here, and while they're definitely not made of mesh (they do make a summer Chester as well), I haven't noticed my hands getting sweaty. Maybe durability in the future. I've heard mixed reviews on how long these last. That I don't have them in every color yet? The plum ones are calling my name. 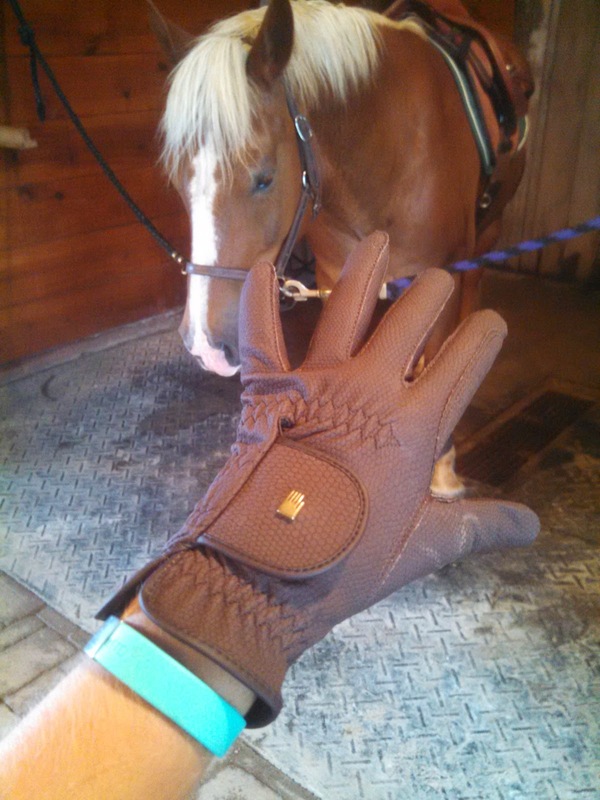 In conclusion: If you have long skinny fingers, need superior grip on the reins even in wet/sweaty conditions, and like a close feel on the reins, the Roeckl Chesters are for you. I've been hesitant to get these because they look bulky. I really need skin-tight gloves or I can't ride in them. That being said, these are the first pictures I've seen where the gloves look like a second skin. Considering my most recent pair of gloves just died, I might have to give these a shot. They really do fit like a second skin, more than any other glove I've owned. I think you'll like them if you give them a shot. I got lucky on sizing the first time, but I imagine getting that right plays into it too, so order from SmartPak or try them on in the tack shop if you can. I'll have to pick up a pair. I've been riding in one of the SSG (can't remember which) and it's been my favorite glove thus far, but I was never big on gloves originally either so I haven't tried as many. They're worth a try. It was the fact that I didn't like riding in gloves that made me look for something that didn't feel like a bulky glove. I find them significantly less bulky than most other gloves on the market. Samshield are probably one of the thinnest but also pretty pricey. 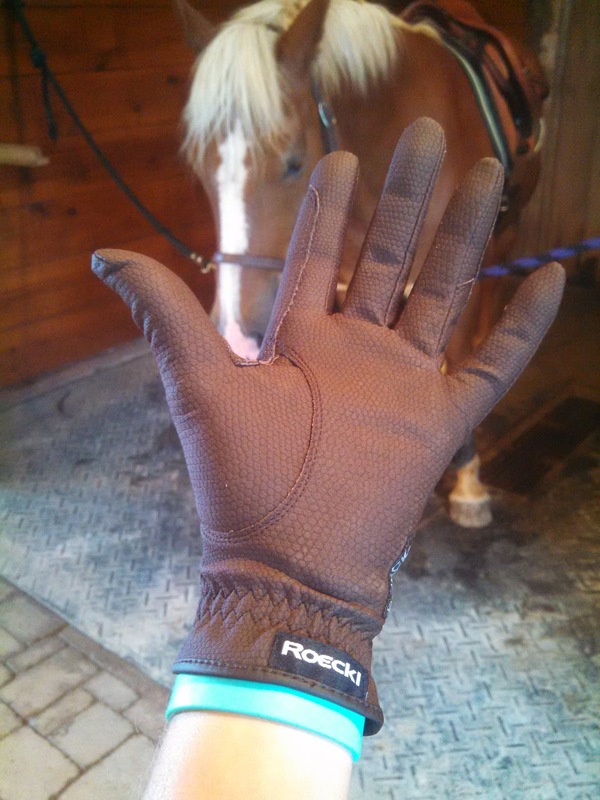 The Roeckl's are definitely my favorite gloves and they've been super durable for me too, even though I use rubber reins..
Oh, I bet Samshield gloves would be amazing. I haven't seen/tried them though. Glad to know they hold up to rubber reins! I definitely need to buy a pair. I got away from them because they aren't cheap and I have a tendency to loose stuff. Don't get me wrong, they're worth the $ as long as I don't lose them every two weeks. I bought a pair of bionic gloves a few weeks ago and they are too bulky for me. Roeckels are the most comfy. I went through the same process price-wise. They are available on eBay for $35, which, if I consider what I've spent on crappy gloves in the past couple of years, is worth it. I don't love the price, but I love these gloves. If they were cheaper I'd own soooo many in different colors! I'm with you on the price. I searched for forever and the $35/free shipping was rock-bottom cheapest. Oh well, hope they last. thanks for the review! i recently started riding with bare hands (for the first time in years) because i can't seem to hold on to my reins. maybe i just have the wrong gloves? You might try other kinds if you're able, I've had some gloves that slipped badly and others that don't, like these. What kind are you riding in?